The next generation of Harmony climate screens, taking diffused light to the next level. Recent field tests show that plants in shade spots receive 32% more light than last year’s version. Save more with 4 F cooler temperatures than metallic silver nets, and discover the easy way to keep your plants cool n healthy. From 13.1′ sewn to 51′ wide. New Harmony scatters sunlight onto and into your crops more evenly resulting in healthier and more uniform crops that grow faster. The work environment is even more pleasant for you and your staff. New Harmony is available in open and closed versions, depending on whether you want to improve cooling or reduce heat loss, and in a wide range of shading levels. 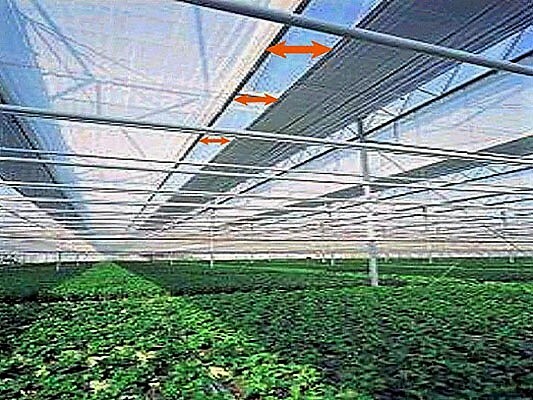 Our goal is to supply you premium Crop Covers, Greenhouses/High Tunnels, Climate shade screens, wireless security systems, Mulch Films, Nets and Greenhouse/Farm supplies at affordable costs. Copyright © 2019 SuntexCP. Powered by WordPress. Theme: Spacious by ThemeGrill.